Read the full review here (scroll down the page to read it). Read Tom’s full round up on his blog, here. 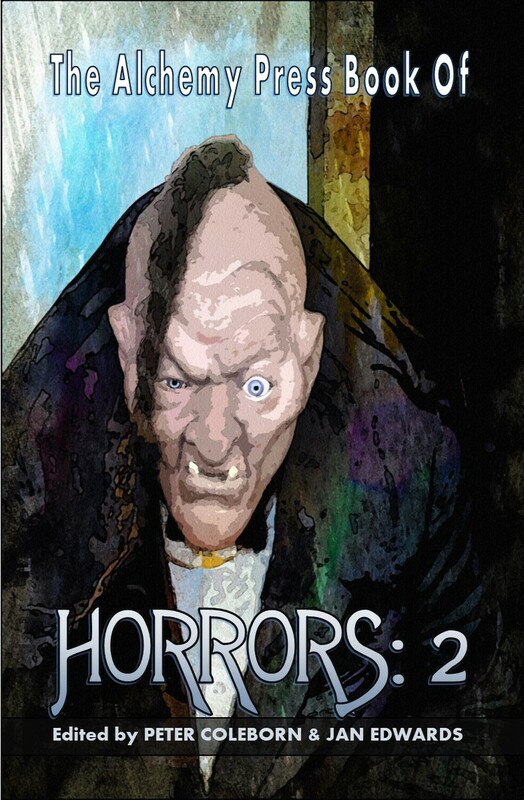 We’ve received many submissions to The Alchemy Press Book of Horrors 2 so far,and they continue to arrive everyday. We try to acknowledge these within a day or so. Unfortunately we are a bit behind schedule but hope to acknowledge all in due course. If you haven’t heard from us within a week of the submission window closing (at the end of this month) please email us. That fine connoisseur of horror fiction, James Everington, has selected five stories from The Alchemy Press Book of Horrors among his picks from 2018. You can see the selection on James’ Scattershot Writing website. The five stories he selects are those by Ramsey Campbell, Cate Gardner, Ralph Robert Moore, Marie O’Regan and Madhvi Ramani. Well done … but we at Alchemy wish to state, categorically, that we love all 25 tales in the anthology. 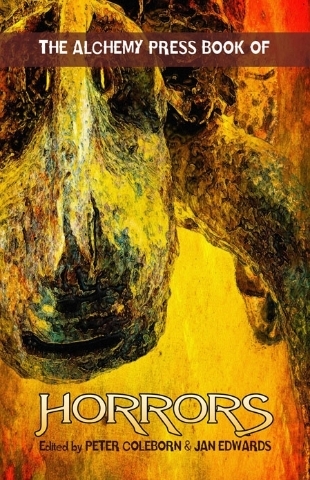 Horrors is available in print and eBook (various formats) versions. By the way, a quick reminder: the submission window for volume two of Horrors runs throughout January 2019. 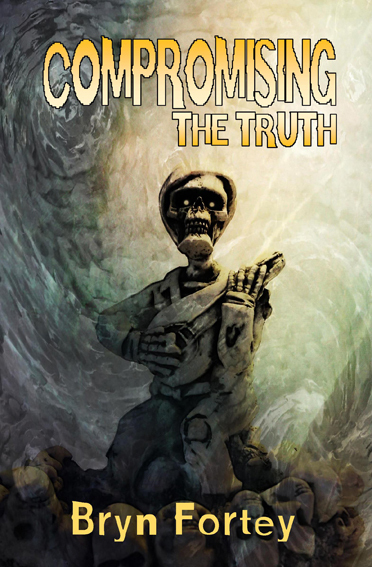 The above image is the possible/probable cover for the book. We’ve highlighted the stories from Horrors. The Alchemy Press Book of Horrors is available in print form and for a variety of eBook platforms. And while you wait for the next volume of Best British Horror we suggest you read this year’s book (published by the excellent Newcon Press). The cover for BBH 2018 is by the extremely talented Daniele Serra. We’re pleased to say that The Alchemy Press Book of Horrors, edited by Peter Coleborn and Jan Edwards, and Compromising the Truth by Bryn Fortey are now available as Kindle eBooks. We aim to release other eBook versions, too. Both are also available as print paperbacks. 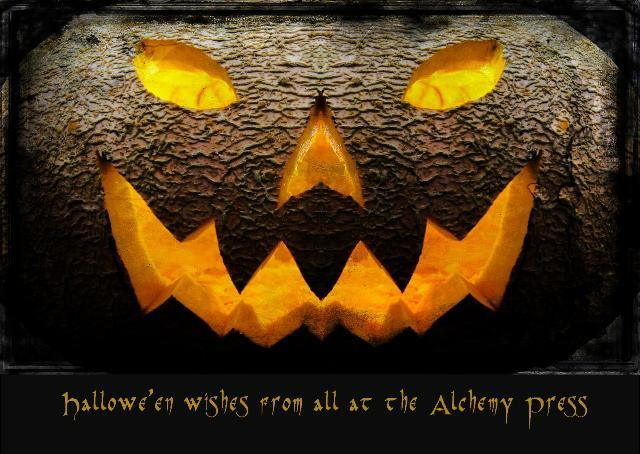 Belated Hallowe’en wishes from The Alchemy Press. Hope things went with a satisfying bump last night. I love horror anthologies and FantasyCon has provided me with a delicious surfeit of them. First up is this, a truly impressive achievement by Peter Coleborn and Jan Edwards. I’m not going to cite individual stories, suffice to say there’s not a bad one in here, and a few are amongst the best horror stories I’ve read in ages. Full marks for that lovely cover as well, which is reminiscent of the old 1950s Four Square horror anthologies. A terrific book, highly recommended, and I would definitely buy a volume 2. Well done, guys.